With the number of trial waiver systems worldwide increasing nearly 300 per cent since 1990, Jago Russell, Chief Executive of Fair Trials, looks at how this emerging issue can both improve but also undermine human rights protections. The trial is the archetype of criminal justice. It has captured the public imagination. Just think of the dominance of courtroom drama in film, TV and literature. In reality, though, the trial is starting to disappear. In many parts of the world, trials are being replaced by legal systems that encourage suspects to admit guilt and waive their right to a full trial. For years at Fair Trials we had heard from our network of criminal defence lawyers that ‘plea bargaining’ was being introduced in their countries. Many lawyers and NGOs were concerned about attempts to induce defendants to waive their right to a fair trial. On the other hand, we have long been engaged in work to reduce the excessive use of pre-trial detention – and were conscious that guilty pleas can help address excessive detention resulting from case backlogs. Many lawyers and NGOs were concerned about attempts to induce defendants to waive their right to a fair trial. We wanted to get our heads around this emerging issue in criminal justice, because it seemed to have the potential both to improve and to undermine human rights protections. There also seemed to be large gaps in knowledge: we couldn’t find many comprehensive sources of information on global plea bargaining practices, and international and regional human rights mechanisms are virtually silent on the issue. With support from our pro bono partner (global law firm Freshfields Bruckhaus Deringer), we therefore conducted research on the existence, form and frequency of use of plea bargaining (which we called ‘trial waiver systems’) in 100 countries. We ended up getting data from 90 countries. You can read our report here. The number of trial waiver systems worldwide has increased nearly 300 per cent since 1990. Of the 90 countries surveyed, 19 had a trial waiver system prior to 1990. By the end of 2015, trial waiver systems existed in 66 jurisdictions. This number is continually increasing, with trial waiver systems currently under consideration in an additional five of the 90 countries surveyed. Countries are extending the application of trial waiver systems (often introduced to tackle corruption) to broader categories of offence, and introducing wider ranges of incentives for people to plead. In some countries trial waivers quickly come to dominate criminal proceedings, at the expense of traditional trials. There is no single model of ‘trial waiver system’ – they take different forms both in terms of the legal process and safeguards that apply and the incentives offered to encourage suspects to plead: reduced sentences; reduced charges; facts being presented in a manner beneficial to the defendant; and cooperation agreement/crown witness system. There are many different reasons for introducing trial waivers, the most common being increased efficiency. Many states believe that trial waiver systems will save money and speed up the criminal justice system. Trial waivers are also introduced to address impunity: making convictions for minor crimes easier to achieve or, at the other end of the spectrum, to aid the effective detection and prosecution of serious and complex crimes. Many jurisdictions also justify trial waiver systems as a way to spare victims the trauma of testifying or enduring lengthy proceedings. Fair Trials is not opposed to trial waiver systems, which can clearly provide benefits. As a consideration of practice in the US demonstrates, however, reliance on trial waivers is not without risks. 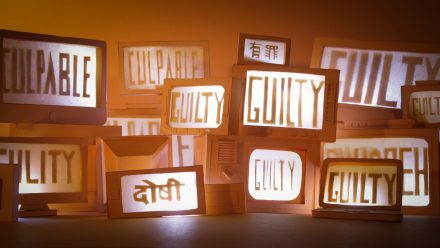 Our report provides an overview of US practice (where guilty pleas account for 97 per cent of convictions at the federal level), but if you want to learn more, a great place to start is www.guiltypleaproblem.org. We aren’t necessarily saying that the trend towards more pleas and fewer trials needs to be reversed – but it is time to slow down and take a look at what plea bargaining is doing to criminal justice systems, to take stock and make sure it is achieving what we want it to and not having unintended effects like net-widening or increasing unsafe convictions. It is time to slow down and take a look at what plea bargaining is doing to criminal justice systems. Our study only really started to scratch the surface, but it is abundantly clear that countries developing trial waiver systems don’t need to do so in a bubble. They must of course address local needs and realities – cut and paste justice reform doesn’t work – but countries should draw on the wealth of international experience to help mitigate risks. We have, for example, made recommendations around basic procedural rights protections that need to happen – access to a lawyer and to disclosure of evidence before pleading guilty are key among them. Then there are structural concerns: we want to ensure that plea bargaining isn’t being used to avoid making more effective reforms to pre-trial detention, indigent defence and sentencing. The truth is, it shouldn’t be too easy to get a conviction – the burden of proof and presumption of innocence are there for good reasons. So our second set of recommendations is around what kind of data countries should be collecting to evaluate how plea bargaining is affecting the justice system and rule of law – things like what trial waivers are doing to arrest, conviction, dismissal, and detention rates and costs. We’re calling this a ‘human rights audit’ of plea bargaining systems and we’re working on developing tools to help policymakers to do this. Finally, we need to address the fact that there is this gap in international law, guidance and understanding of best practices when it comes to plea bargaining. Strategic litigation and advocacy with international and regional bodies will be necessary in order to help guide jurisdictions to implement their systems in a way that is consistent with their constitutional and human rights obligations. Those of us who care about justice need to wake up to the new and emerging reality of criminal justice. We must remain vigilant against sacrificing transparency and justice on the altar of efficiency, because fair and effective criminal justice systems are too important to the secure, safe and prosperous societies we all want to live in. PRI campaigns against the excessive use of pre-trial detention and promotes alternative measures – find out more about our work, the key issues and international standards here. Image: from a Fair Trials animation, A World Without Fair Trials. Jago Russell is the Chief Executive of Fair Trials, a specialist human rights NGO that works to improve respect for the fundamental human right to a fair trial. He is a qualified solicitor and has published and lectured widely on a range of criminal justice and human rights issues.